I’ve been meaning to write this post for a while but haven’t gotten around to it till now. Hair removal is something I, like most Asian girls have struggled with since I was a teenager. I’ve literally tried every method of hair removal there is out there, including shaving, waxing, epilating, threading, bleaching, and so on. None of them is ideal in my opinion. My skin is quite sensitive so with shaving I used to get really bad razor burn. Waxing didn’t really work for me either; its messy and time consuming and you have to wait ages in between. For my face I tried threading for the dreaded upper lip, but that just caused my skin to break out. About 8 years ago I was at my wits end and a friend told me about the laser hair removal treatments she had been getting, with amazing results. I was honestly speaking quite sceptical. This was before laser hair removal was a known thing and so I had many questions and reservations. I did a lot of research and booked an appointment at a reputable salon in my hometown of Ottawa. That was the start and I haven’t looked back since. I started off with the IPL Laser System, which gave me amazing results on my face and legs. I got the treatment on and off for a few years until I moved to London. By then my legs were quite smooth but occasionally needed a touch up so I looked into finding a salon. By then newer technologies had arrived and the new thing everyone was raving about was the Soprana ‘Pain Free’ Hair Removal System. I gave it a shot at a local London salon and got decent results. At this point I had been going for laser hair removal for about 5-6 years and had spent a considerable amount of money. Yes it’s not the cheapest beauty treatment but in my opinion the only one worth spending money on. However, I was getting frustrated with the cost and having to go for touch-ups repeatedly. Last year I heard about the home laser hair removals that some companies were selling. I wasn’t too sure about that, because I figured, how could a home system compare to the heavy duty machines they use in the salons? 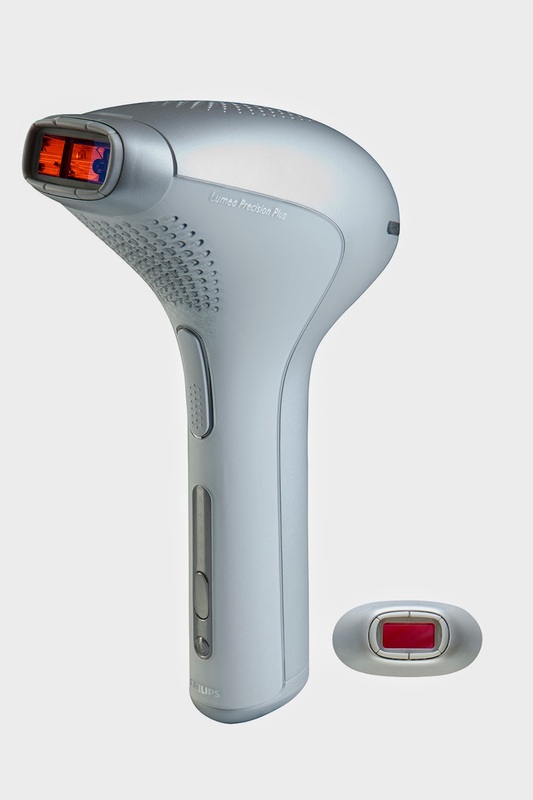 As it happened a few months ago I was asked by Philips to trial the latest model of their Philips Lumea Precision Plus SC2006 IPL Hair Removal System. They sent me the system and I trialled it over 8 weeks, with absolutely amazing results. I can’t believe I went so long without it! It works so well and is so easy to use. I can use it anytime I want, while I’m watching TV which is so amazing. It’s safe to say I will never be going back to any other hair removal method. The system comes with a special facial attachment so you can target the fine facial hairs with more precision. The system has five different settings so you can use whatever setting you are comfortable with, or are able to handle. Yes I should probably mention it’s quite painful. But pain is gain! As you do more sessions, the pain will lessen too as the hairs get finer. It works so well I’ve already convinced some of my friends to buy it. It’s seriously so economical in terms of cost as well. For between £300-£400 you will never have to shave/wax again and it’s so much cheaper in comparison to going to a salon. Our product permanent hair removing cream has been made especially for removing hair permanently off your desired part of body. This does not require anything and applying the cream simply does the work. It is natural because the cream has been made of herbs and the best possible ingredients to remove hair permanent, which does no harm, and the hair can be removed easily. Step 3: After few days when weak hair appear again. It does not take long enough and the results will be shown to you after a few days. The process is natural so there won't be any problems and you can get rid of unwanted hair after less time. When you order the permanent hair removal cream and tell your details for the delivery of the product, you can sure that your personal information is confidential and is secure with us.We never mention our company information and product info on courier packing.